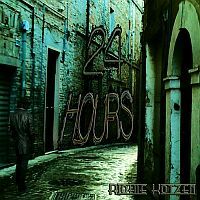 _ Through the years Richie Kotzen has definitely grown as a musician as well as a performer, and we’re happy to see his latest album “24 Hours” marching in the same direction towards brilliance. There’s no denying the pure mastery and foresight with which this musically versatile record is tamed. And it sure is one of Richie’s most inspired statements to date. An energy bursting cocktail of hard rock, blues, soul and funk, smoothed out with unbelievable cohesiveness. Truly, Richie rarely sounded better than this. Apart from his talent as a guitar player that we all know has been there for some time now, the most desirable ingredients of the Richie Kotzen cuisine are to be found in his vocal delivery, charged with oozing charisma, almost exclusively shaped by extreme passion. This is the Richie Kotzen that many failed to discover, knowing him only for his stints with Poison and Mr. Big. Well, that's a great shame on their part since Richie’s singing characteristics are at least equally impressive as his guitar playing. And yes, the song writing here is par excellence! Starting with the title number, the words first class funkadelic stormtrooper come bursting through the doors. “Help Me” quickly follows suit, clearly splashing energy and attitude to burn. “Get It On” reads as another funky punch directly in the teeth, craftily underlined by muscular riffing and topped by almost Glenn Hughes like vocals. If that isn’t enough to delight you, then the inclusion of “Bad Situation” to the ever growing list of impenetrable creations will definitely leave you smiling in recapturing the pure delight of rediscovering your balls' primary use. Not to mention that there is some serious funk rock fun to be gleaned from the silky groove of “OMG (What’s Your Name?)”. Indeed, Kotzen does back off this fiery style of his on many occasions. It’s amazing how effortlessly all the fuss suddenly rises on the man’s exquisite vocal delivery. Moments like “Tell Me That It’s Easy”, “I Don’t Know Why” and “Twist of Fate” are soul filled treasures. The former bares remarkable resemblance to Rod Stewart in his best Faces days! Seriously - it sounds so good! In this much heated environment only “Stop Me” falls out as the consummate Richie Kotzen pop song. As for the final verdict, “24 Hours” is a stunning experience, an inspired testimony of skill, character and emotion. With no misfires present, except for the albums short length (it grabs us for a mere 42 minutes), this comes remarkably close to being the best thing Richie Kotzen has ever put out.